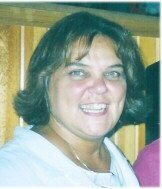 Sue Pascu was raised in Akron and went to Windemere Elementary School, Hyre Junior High and Ellet High School. 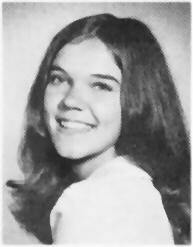 She graduated from The University of Akron in 1978 with a degree in Education. Sue taught in Akron Public Schools for many years at several different buildings: Ellet High, Windemere, Hyre, Hatton, Betty Jane, and Ritzman, plus a few others. Sue has also taught at Springfield High School, and Perry High School in Massillon. She is currently the Department Chair of Special Education at Lake High School and is an Intervention Specialist teaching Math. She began teaching at Lake High School in 2000. Sue currently lives in Hartville, so it is nice for her to finally work close to home. Sue is in the current class of Jennings Scholars through Kent State University and the Jennings Foundation, and feels honored to have been chosen to receive such a distinction. Sue met Roy Midcap while attending Akron U., and they married in 1979. They will celebrate their 30 year anniversary in July 2009. They have one daughter, Jenn, who is 25. Jenn graduated from Malone College and is currently the Director of Operations and Marketing for the Summit Choral Society and is also the Director of Music at Oak Hill Presbyterian Church, both in Akron. She is not yet married, so there are no grandchildren stories to share---YET! She is an extremely talented flutist and vocalist. When asked what she does in her 'Free Time', Sue replied, "Free time??? I do a LOT of volunteer activities that keep me constantly busy. I have some health issues, so I am either “running on empty” or unable to function and end up bedridden for some time… you’d think I’d learn to pace myself!!"